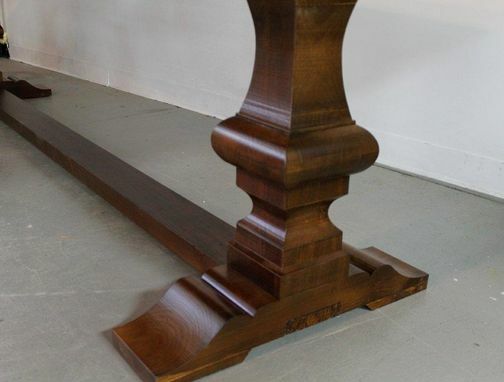 Custom Made Venetian Trestle Base Table. 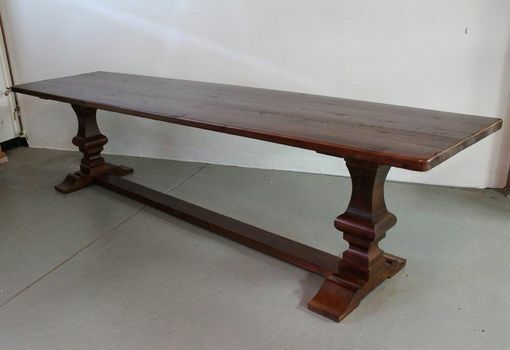 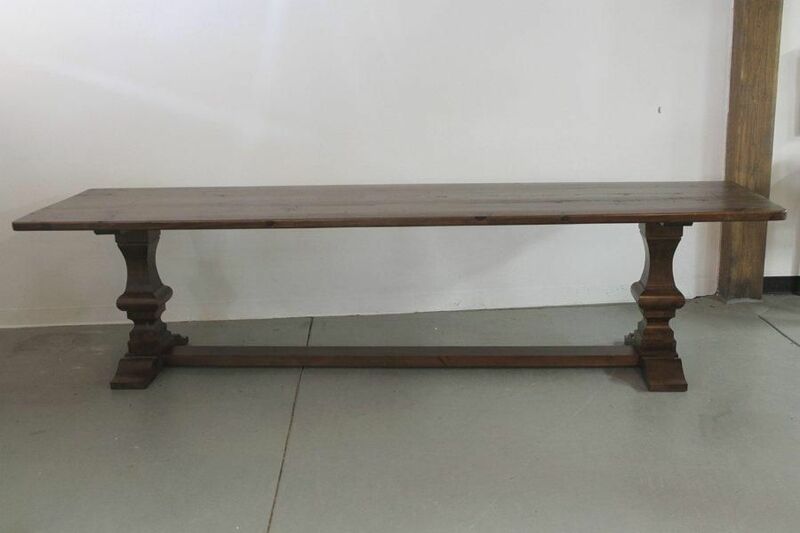 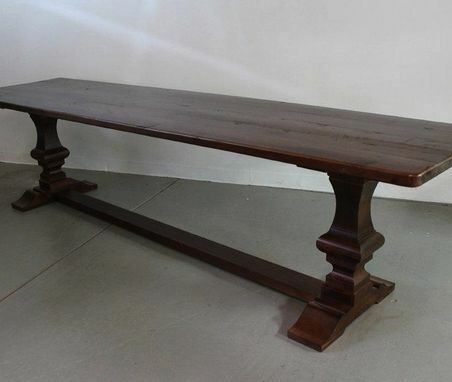 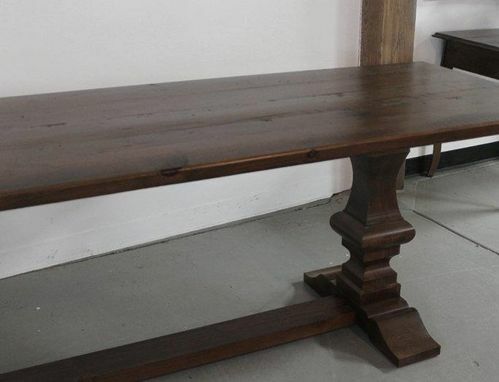 12ft Trestle table is finished in our very popular antique walnut finish, for a more rustic look. 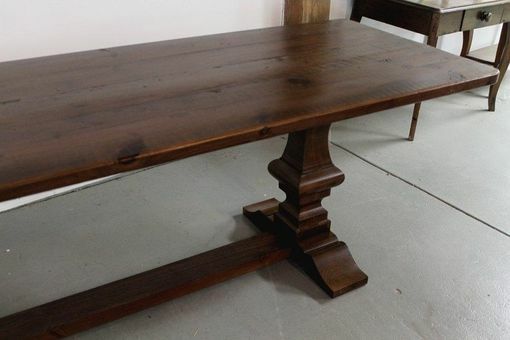 This 12′ft table is made from 100% solid pine reclaimed from old barns, and all items are 100% American made every step of the way.